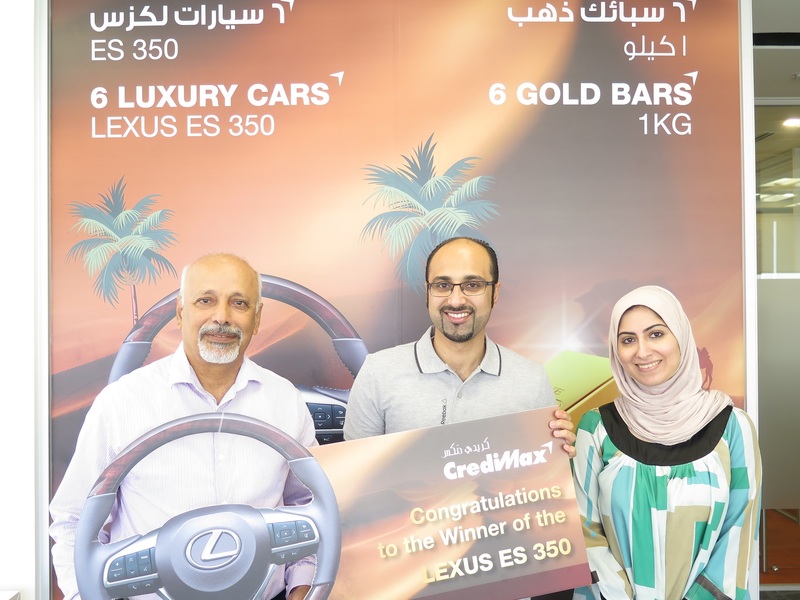 CrediMax announces the name of its May and June winner for its 2018 “WE GIVE THE MAX” campaign congratulating Mr. Ebrahim A.Rasool Esbai who won a Lexus ES 350, the prize for the month of May and Mr. Ahmed Salman who won a 1 KG Gold Bar, the prize for the month of June. The upcoming prize for the month of July will be a Lexus ES 350 model 2018. For every accumulated BD300 spent, the cardholder will be eligible to enter the raffle draw and get a chance to win a Lexus ES 350 or 1 KG Gold Bar the following month. The cardholders can also double their chance when using their cards outside Bahrain.